After tracing the tracks of parish priests and the parishes of Bardez and Tiswadi, the Margao-based Catholic priest and compiler of the religious history of the Goa Church Fr. Nascimento Mascarenhas has released a book on Salcete and Mormugao. 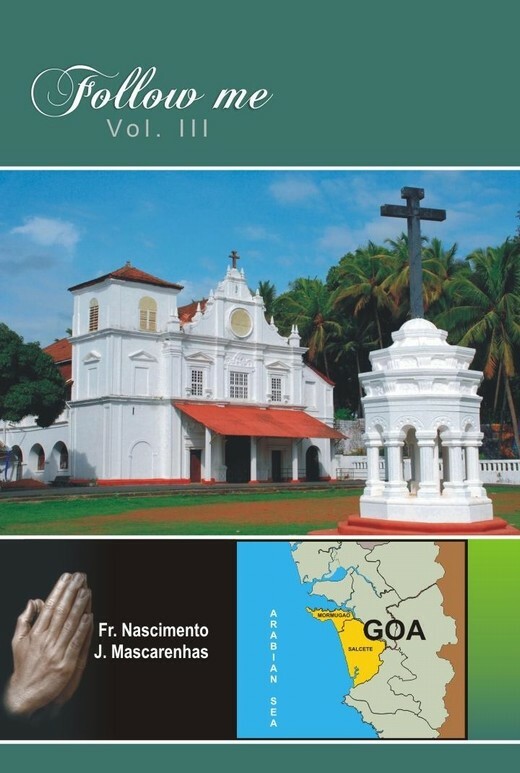 Follow Me, Volume 3 author Fr Nascimento says that as Christianity gained ground in the Goa of past centuries, churches multiplied across the area and were planned by the Portuguese who left the elaboration of details to local builders. Early churches were planned and built by the famous architect of the times, Fr. Joao de Faria. Jesuit Brother Francisco Aranha, an equally well-known architect, built the Cortalim Church in 1579. These structures tended to overwhelm people by their the grandeur and majesty. Local folklore ranked the “Paulistas” (Jesuits) with the Pandavas as magical builders, and they were believed by the lore to being able to huge structures literally in a single night, says the author of the new book. Brazil-born seventeenth century historiographer Fr Francisco de Sousa, who authored the Oriente Conquistador, has called Salcete the home of “…the Church’s most resplendent Christianity in the East”, notes the author of the book. A chapter of the book is dedicated to the Patriarchal Seminary of Rachol, now celebrating its fourth centenary (its foundation was laid in 1610). Other chapters focus on the taluka of Salcete, the last Jesuits in Salcete during the era of the Marquis of Pombal, and a very detailed section on all the parishes of Salcete and Mormugao. The last segment is a detailed view of parishes of Salcete and Mormugao, with a long list of every parish priests who served in these areas, including their short bio-datas. Some 458-pages in size, the book is illustrated with photos of the churches of the area, maps and a select bibliography. With this book, Fr Nascimento completes six books authored by him. Besides two others in the Follow Me series (covering Bardez and Tiswadi), he has written on Goan priests who have served across the globe (Proclaimers of God’s Kingdom from Goa to Lisboa, 2001), a tribute to a high-achieving Goan doctor (A Paean to an Ophthalmologist Prof Dr Gama Pinto, 2002), and a book on another coastal sub-district (Mormugao’s Rich Heritage, 2006).